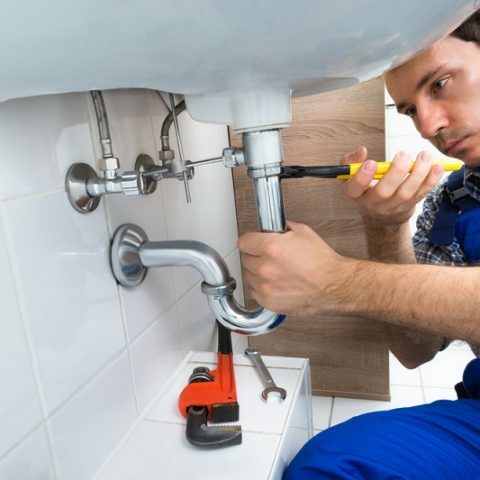 So you’re remodeling your kitchen and are realizing just how many decisions you have to make. They’re all good ideas though so it doesn’t matter which direction you go, right? Wrong! A right decision for one corner of the kitchen might not flow with other little decisions, leaving you with a jumble of confused little corners. But don’t worry! I’m going to break down the decisions for you and present you with 8 foolproof ways to transform your kitchen. Kitchen peninsulas are a great way to add extra counter space without totally dominating your kitchen space. It will also act as a bit of a division between your food prep area and dining space. Find an excellent collection of peninsula ideas here. 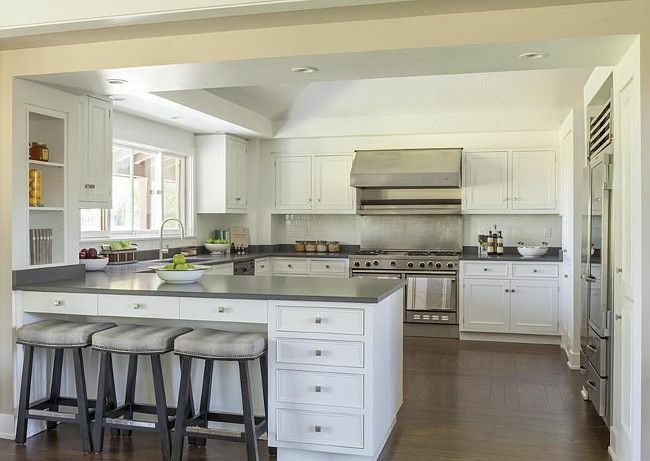 Like peninsulas, kitchen islands offer additional counter space. However, islands also create a gather hub that easily becomes the “it” place in your home. If you like the idea of your kitchen becoming a hangout central in your home, then adding an island is a definite foolproof way to go! Via HomeBunch. The same kitchen can look drastically different depending on the finish you put on your cabinets. Ask yourself what kind of feeling you want the kitchen to have. What do you imagine when you see people gathered in this space? If you prefer more formal, contemporary gatherings, lacquered cabinets are the way to go. They create a high-end, classy look and aren’t typically a choice of space for informal gatherings with children. Lacquer cabinets are very easy to clean on a regular basis but are not easy to repair in case of chipping or other damage. Source. Wood cabinets work really well with a variety of decorating styles and functionalities. They can establish elegance, comfort, or both. 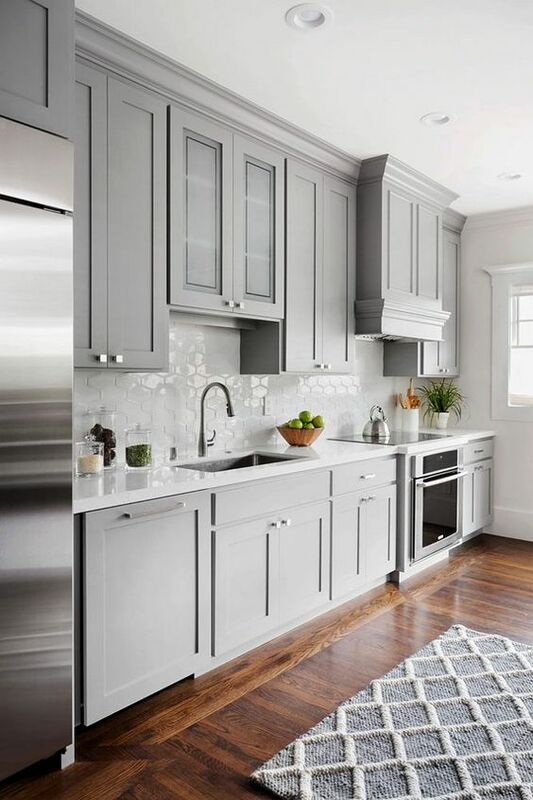 One great part of having wood cabinets is that they can be retained or painted at any time, leaving you open for kitchen updates whenever you want. I love this two toned cabinet look here with the white upper cabinets and the rich, warm cabinets below. See more here. Rather than leaving walls white, painting your kitchen is a simple foolproof way to add life and energy into this important gathering space. Painting the walls a solid color will also help calm an otherwise busy room adorned with full decor. 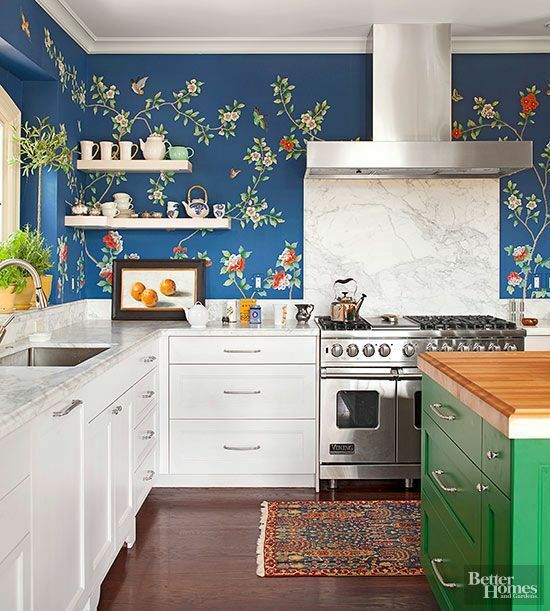 Like paint but for different reasons, wallpaper can add some much needed energy into your kitchen space. Wallpaper does this by injecting personality into an otherwise visually dull space. Wallpaper is a particularly great option for older homes with imperfections that paint alone can’t cover up. 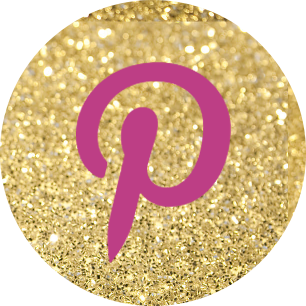 Head over to BHG for 20 creative ways to use wallpaper in your kitchen. Cabinets are pretty standard in most homes. They create much needed closed storage space while also providing structural personality for the room. Choose cuts and styles that will enhance the feel you’re going for without being too distracting. Consider multi toned cabinets between the upper and lower levels as a way to provide depth and warmth to your kitchen space. Image source. Open kitchen cabinets are a fun way to go if you have china or decor that you’d like to display. Open cabinets will give a much more full touch to the room and they give your kitchen a kind of living, breathing feel. 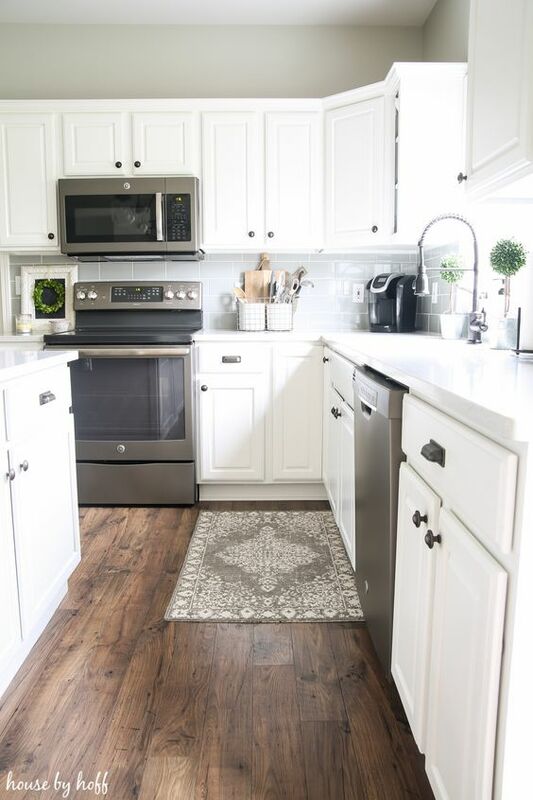 You’ll need to make sure you can keep your cabinets nice and tidy, but otherwise, open cabinets are a fun and foolproof way to update your kitchen. 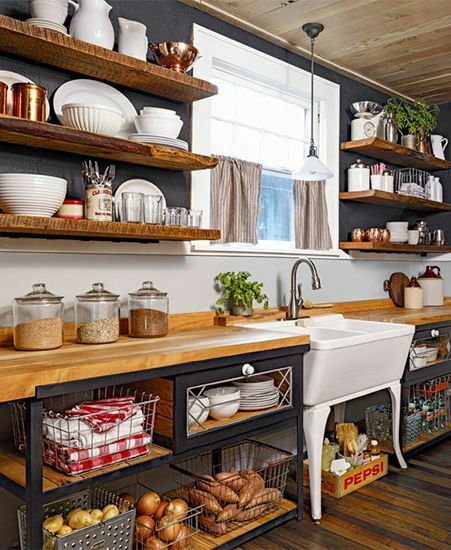 I’m in love with the farmhouse styled kitchen below with open shelves and baskets for storage! Via. You can also mix-and-match cabinet styles by having open cabinets on top with closed cabinets closer to the floor. The best of both worlds! 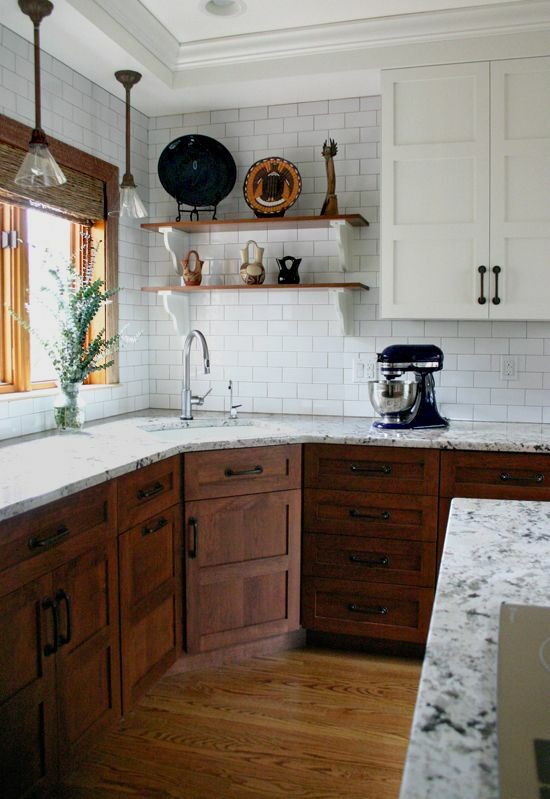 I first had granite countertops installed into one of our early homes about 15 or so years ago and I can’t imagine a kitchen now without rock surfaces. 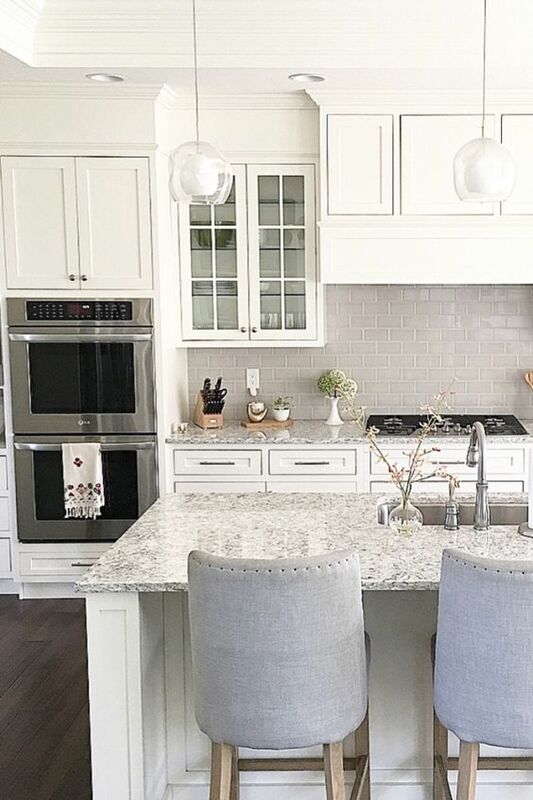 There are a handful of great rocks to choose from when it comes to counter space, but quartz and granite are your best two options for a foolproof kitchen. Granite was my first love. It’s a very durable rock that can take a lot of beating from heat to spills, and is also an excellent cutting surface if needed. It will require a sealant though that needs to be reapplied every few years or so to keep food and dirt from getting stuck in the pores. 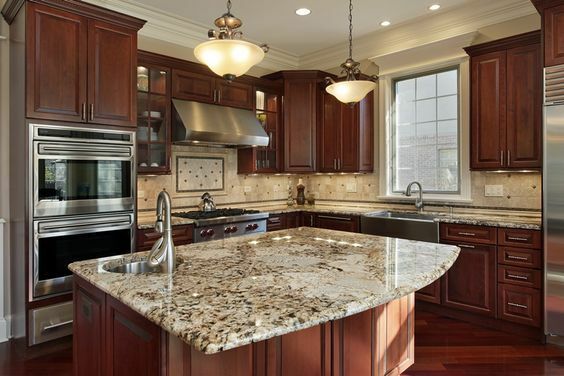 Granite is especially nice in kitchens with darker tones and rich browns. Via. 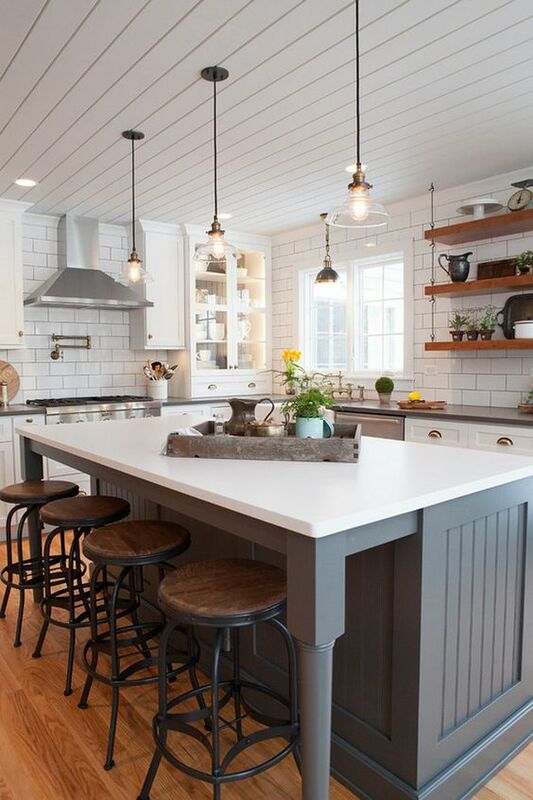 Quartz countertops are nearly as durable as granite, but are more reasonably priced and can be more easily found in a larger variety of colors. Quartz is particularly pretty in softer kitchens that focus on lighter colors such as grays, whites, and pastels. Another benefit to quartz is that it doesn’t require regular reapplication of sealants to protect its pores. Image source. I can hear everyone already… “White appliances are SO outdated!” And while I agree that the white appliances we all grew up with in the 80s and 90s ARE yuck, don’t be fooled into thinking you have to avoid the color option completely! White appliances are making a tremendous comeback and can be just as foolproof as stainless steel. 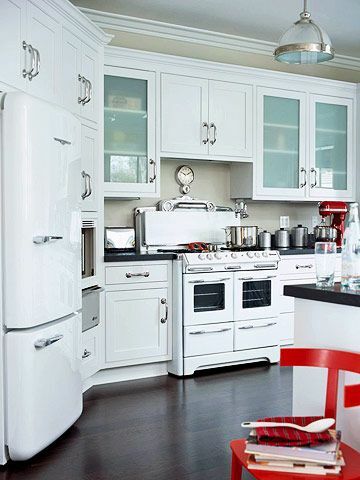 Check out The Inspired Room for some truly fabulous white appliance kitchen looks! One of my favorite perks to white appliances is that they don’t show fingerprints and oily smudges like steel does. Steel appliances are both timeless and versatile, pairing with just about any style you choose for your kitchen. They do show smudges easily, but are otherwise 100% foolproof! 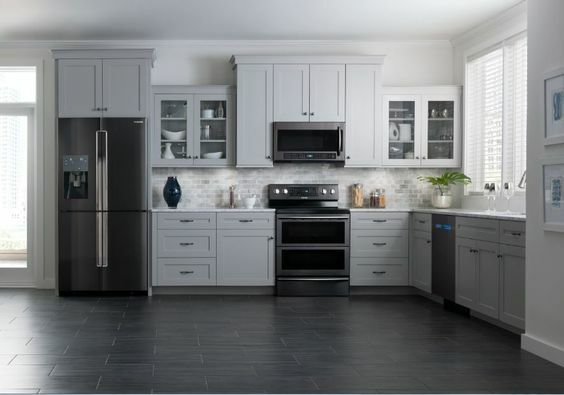 Read about Samsung’s stainless steel appliances here. Laminate and hardwood almost define foolproof when it comes to kitchens. I can’t t think of another decision that is as safe yet en pointe to go with than either of these two options. Laminate flooring has made a strong contender to traditional wood for about the past 10 years or so and it’s still gaining traction. Simple to lay, easy to clean, available in a very large variety of colors, and just a minor perk that it’s highly affordable. Read here how laminate holds up over time. Like stainless steel, hardwood floor is timeless! It can also be worked into any kitchen with the right stain and will last you for years to come. Best of all, hardwood can be restained to match any updates or remodels. 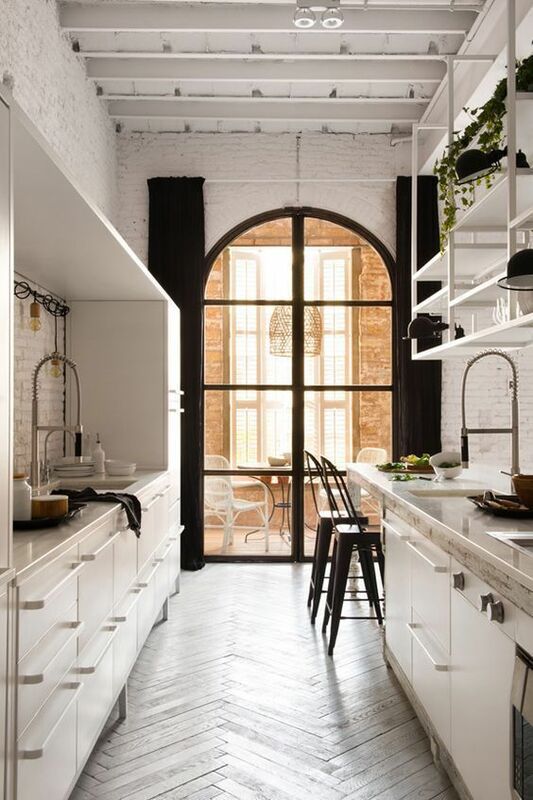 My next kitchen will have herringbone wood floors with brick walls. Love it! Image source. One way to establish that just-right feel in your kitchen is with your choice of seating. There seems to be some… creative options coming out lately, but chairs and banquet seating are the best foolproof ways to go. Banquet seating is an especially fun choice in kitchens where you’d like to emphasize warmth and togetherness. They look particularly nice in nooks next to windows where you can keep things bright and cheerful. Image source. Wooden, padded, painted, upholstered… free standing chairs can really give a nice finishing touch to the heart of your home. You don’t want them too plain but don’t overdo it either. Here are some great resources to look into for choosing the perfect seats for your kitchen.